I generally plan to do Snow-themed storytimes around the end of January, because that's typically the time we are most likely to see snow here. But the weather did not cooperate this year, and we've had 2 weeks of unseasonably mild temperatures and rain. Lots of rain. I think we have had at least some rain every day for the last 10+ days! But I didn't have time to change gears, and I knew the kids would still like talking about snow, so I stuck with it. We started with our welcome song, and introduced the topic by talking about all the fun things we can do in the snow and looking at some beautiful photographs of actual snowflakes from www.snowcrystals.com (this site has tons of photographs, and lots of info on the science behind snowflakes). 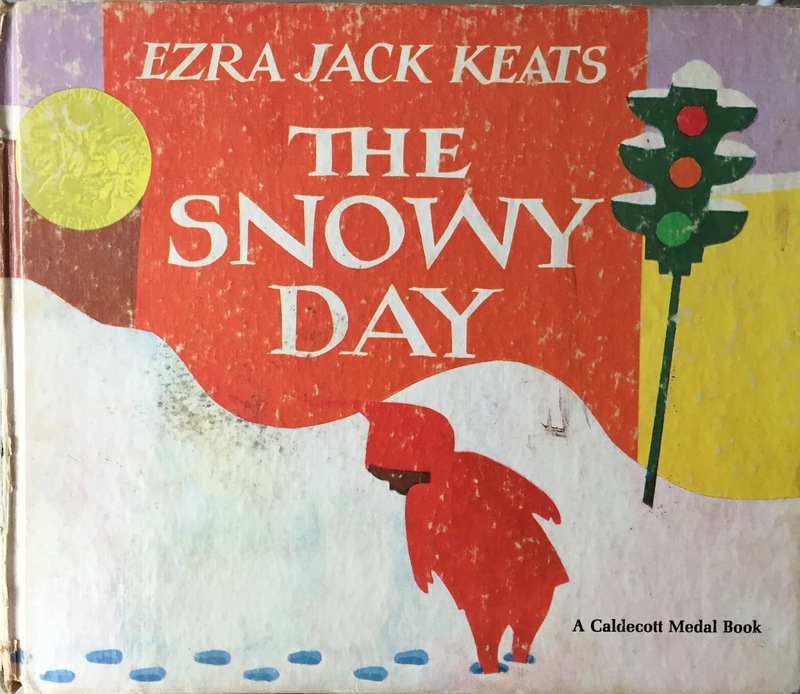 Then we sang our story song and read our first book, the classic by Ezra Jack Keats, The Snowy Day. I love this simple story and the lovely illustrations, and the added bonus of making predictions (What will happen when Peter smacks the snow-covered tree with the stick?) and cause-and-effect (What happened to Peter's snowball? Why did it melt?) and featuring a person of color. I usually get one of the 50th Anniversary editions to use for storytime because they are bigger, but I waited too late and they were all checked out. I was feeling nostalgic, so I decided to use my original childhood copy, though the cover is certainly showing some wear after almost 50 years and five kids (myself, my 3 siblings, and my daughter). For our next story, I used another personal book, my son's The Snowmen Pop-Up Book by Caralyn and Mark Buehner, which is a pop-up version of their popular Snowmen At Night. Do you ever wonder why your snowman looks a little different the next day? In this story, a little boy imagines why. Five little snowmen standing in a row, each with a hat and a carrot nose. Out came the sun and shone all day, and one little snowman melted away! One little snowman standing all alone, with his hat and a carrot nose. Out came the sun and shone all day, and the last little snowman melted away. No little snowmen standing all alone, none with a hat or a carrot nose. The sun came out and shone all day, and melted all the snowmen away. On the fly I decided to do a quick matching activity using these, too. Leaving the puddles on the board, I held up the snowmen one at a time and let the kids tell me which puddle he would leave, and identify the hatband and tie colors. They really got a kick out of my playing dumb and mismatching them on purpose. 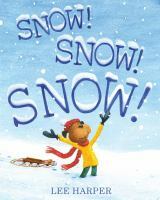 We had talked a lot about building snowmen, making snow angels, and having snowball fights, so for the third story I chose a book that focused on an activity that many of us don't get a chance to do in this area because of insufficient snowfall, sledding. In Lee Harper's (not to be confused with Harper Lee, the author of To Kill A Mockingbird) Snow! Snow! Snow! our two young characters are thrilled to wake up to a landscape covered in snow. Their father takes them sledding, where a bump at the bottom of the hill sends them soaring into the air. But, what goes up must come down! Short, simple text with nice illustrations. We ended with our usual closing song, and passed out stickers. Despite Mother Nature not cooperating, we had a great time talking about playing in the snow. If this had been a library storytime rather than outreach, I would have let them have a snowball fight with our fake snowballs (like giant pom-poms) and spread something on the floor for them to make snow angels in. But, the classroom is too cramped and crowded to do either of these activities, unfortunately. The Snowmen Pop-Up book was predictably the book they liked best. They were not quite as engaged with the other two, though they did all laugh when the snow from the tree fell on Peter's head in The Snowy Day and when the airborne sledders realized that what goes up must come down in Snow! Snow! Snow! 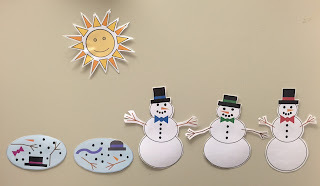 They really liked the "Five Little Snowmen" activity, and we discussed how it might be sad when our snowman melts, but we can always build another one the next time it snows. I had a bigger crowd that usual today, with 19 kids instead of the usual 12-14. I saw several new faces, but the teacher said they weren't new to her class, just that they usually don't arrive early enough for storytime. With that many extra kids that weren't used to the storytime routine, it was definitely a little more challenging! Teddy Bear, Teddy Bear, show your shoes. Teddy Bear, Teddy Bear, I love you! Teddy Bear, Teddy Bear, sit down please! 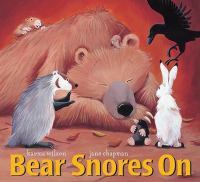 After singing our "story song", we read our first book, Bear Snores On by Karma Wilson and Jane Chapman. I love all books illustrated by Jane Chapman, but especially Karma Wilson's Bear books. This one is particularly fun for the kids because in addition to saying the repeated line "But the bear snores on," they get to make snoring sounds. I also like the drama when the bear wakes up and at first seems angry that the other animals are in his cave, but he's really just upset that he missed out on all the fun. For 3-year olds, that's a pretty significant plot twist. Who looked just like him. Then I brought out a non-fiction book to show all the different kinds of bears, Bears! from Time For Kids. I was really torn between this one, which has photographs of real bears, and Bears! Bears! Bears! by Bob Barner that has a fun rhyming text and a map at the end showing where each type of bear lives. I decided I really wanted them to see real bears, so I went with the first one, but in retrospect, I realize I could have shown them as part of the introduction, then read the second book to elaborate on them as one of the stories. Oh well, hindsight is always 20/20, right? Big and brown, big and brown. Soft and white, soft and white. White and black, white and black. And like to eat bamboo. Just my size, just my size. 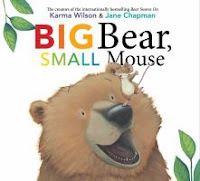 I ended up using another one of Karma Wilson's Bear books, also illustrated by Jane Chapman, because it just came out this past year and I always like to introduce new books, and I really thought it would work well as a read aloud. Big Bear, Small Mouse is the third "concept" book for the series, with the first two focusing on colors and counting. Throughout the story, as we see what Bear and his friends are up to, we are presented with opposite pairs, like big-little, slow-fast, quiet-loud, and cold-warm. We finished up with our closing song and passed out stickers. Today was not a typical day, for a number of reasons. First, it was the first storytime after Christmas break. Second, we had our first snowfall of the year overnight, and not only were the kids excited about the snow, but the daycare had opened 1 hour late, so they were off the normal routine. And third, there were two new students who were a little apprehensive. Because of the weather, it was a much smaller group than usual, which was probably a good thing, considering. Despite the circumstances, the kids did pretty well other than being a bit more chatty than usual, and settled down pretty well after having a chance to tell me about their Christmas presents, and one who got a new baby brother. One of the new students warmed up pretty quickly and started participating, but the second was having a harder time adjusting and clung to one of the teachers the whole time. This group really seemed to like Bear Snores On, which I was pleased to see as some groups don't seem to appreciate Bear as much as I do. They didn't really get into "The Bear Went Over The Mountain" at all for some reason, but did like "Teddy Bear, Teddy Bear" and "Grizzly Bears". Well, it's that time again. New Year's Day. 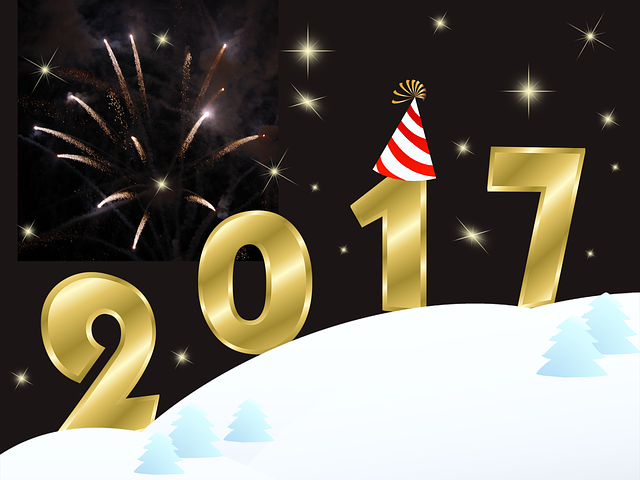 The day many of us take stock of the past year, and make new resolutions and goals for the next year. Many we may not stick to, and some we might. 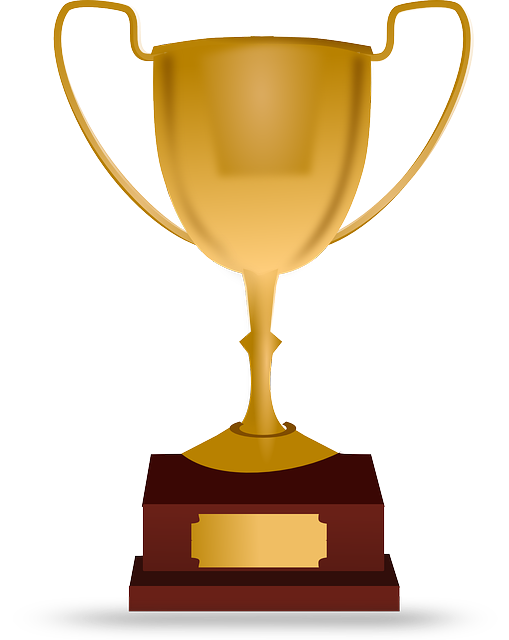 I tend to do okay with professional goals, but personal ones always seem harder to stay with. Last year I addressed my professional goals on my blog, but this time I think I will include my personal ones as well. Maybe putting them out there for everyone to see will help keep me accountable. My main personal resolution is the same as many of you: to eat better and exercise more, not only to lose weight, but to be healthier and have more energy. My previous job was much more physical, and since changing positions, I have gained a lot of weight, which was exacerbated by starting school and now having less free time for exercise and healthy cooking. My other resolution is to spend less time mindlessly surfing the internet and social media (my way to relax) and use that time for exercise and more purposeful activities. Continue working on my MLIS, taking one class each term (spring, summer, fall). Look for other professional development opportunities, such as workshops and webinars. Continue to gain experience to further expand my skills, such as other types of programming beside preschool storytime and anything else I have the opportunity to do that I haven't done before. Continue to fine-tune and develop the storytime collection by creating two new kits and updating and improving the existing ones. Continue to work on Reader's Advisory. That's all that come to mind for now, especially realizing that #1 will take up most of my free time. Anybody else have any specific goals or resolutions for the coming year? ?